Priced below KBB Fair Purchase Price! NEW ARRIVAL. PLEASE CONTACT DEALER AT 888-974-8847, **ACCIDENT FREE CARFAX**, **BLUETOOTH, HANDS-FREE**, **KEYLESS ENTRY**, **REAR BACKUP CAMERA**, **SIRIUS/XM SATELLITE RADIO**, CPO Certifiied Pre Owned, gray Cloth. 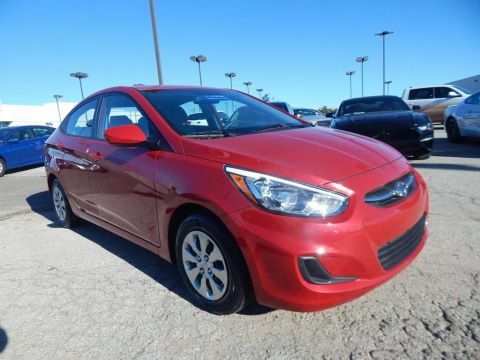 2017 Hyundai Accent SE 4D Sedan Boston Red Metallic FWD 1.6L I4 DGI DOHC 16V 6-Speed Automatic with Shiftronic Clean CARFAX. Certified. Hyundai Certified Pre-Owned Details: * 150+ Point Inspection * Includes 10-year/Unlimited mileage Roadside Assistance with Rental Car and Trip Interruption Reimbursement; Please see dealers for specific vehicle eligibility requirements. 10-Year/100,000 Mile Hybrid/EV Battery Warranty * Warranty Deductible: $50 * Powertrain Limited Warranty: 120 Month/100,000 Mile (whichever comes first) from original in-service date * Transferable Warranty * Roadside Assistance * Limited Warranty: 60 Month/60,000 Mile (whichever comes first) from original in-service date * Vehicle History Odometer is 19554 miles below market average! AutoMax in Norman Your Pre Owned Power House. 300 High End Pre Owned in Stock. Priced below KBB Fair Purchase Price! NEW ARRIVAL. 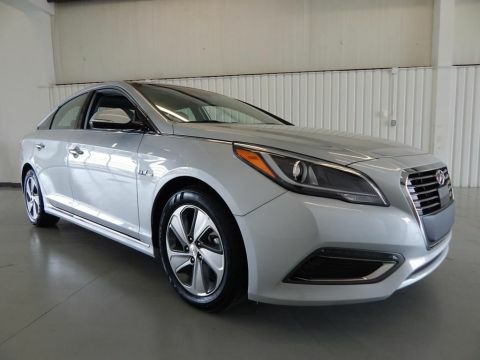 PLEASE CONTACT DEALER AT 888-974-8847, **BLUETOOTH, HANDS-FREE**, **KEYLESS ENTRY**, **LOCAL TRADE**, **NEW TIRES**, **REAR BACKUP CAMERA**, **SIRIUS/XM SATELLITE RADIO**, CPO Certified Pre Owned, SUPER SPORTY FOR UNDER 14K!. 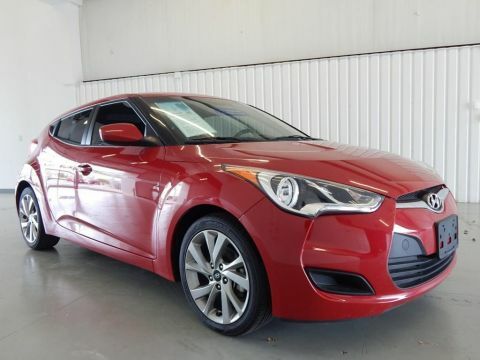 2016 Hyundai Veloster 3D Hatchback Red FWD 1.6L I4 DGI DOHC 16V ULEV II 132hp 6-Speed EcoShift Dual Clutch Certified. Hyundai Certified Pre-Owned Details: * Warranty Deductible: $50 * Powertrain Limited Warranty: 120 Month/100,000 Mile (whichever comes first) from original in-service date * Includes 10-year/Unlimited mileage Roadside Assistance with Rental Car and Trip Interruption Reimbursement; Please see dealers for specific vehicle eligibility requirements. 10-Year/100,000 Mile Hybrid/EV Battery Warranty * Limited Warranty: 60 Month/60,000 Mile (whichever comes first) from original in-service date * Roadside Assistance * 150+ Point Inspection * Vehicle History * Transferable Warranty AutoMax in Norman Your Pre Owned Power House. 300 High End Pre Owned in Stock. Priced below KBB Fair Purchase Price! NEW ARRIVAL. PLEASE CONTACT DEALER AT 888-974-8847, **ACCIDENT FREE CARFAX**, **BLUETOOTH, HANDS-FREE**, **CARFAX ONE OWNER**, **KEYLESS ENTRY**, **NON-SMOKER**, **REAR BACKUP CAMERA**, CPO Certified Pre Owned, CPO CERTIFIED PRE OWNED, black Cloth. 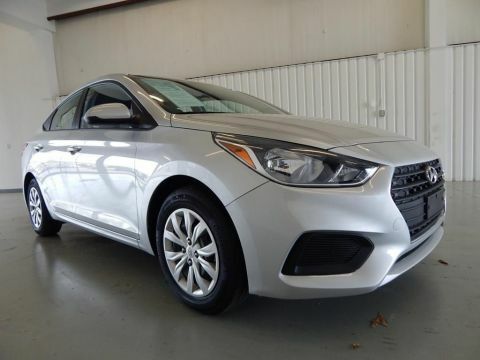 2018 Hyundai Accent SE 4D Sedan Olympus Silver FWD 1.6L I4 DGI DOHC 16V 6-Speed Automatic with Shiftronic CARFAX One-Owner. Clean CARFAX. Certified. Hyundai Certified Pre-Owned Details: * Warranty Deductible: $50 * 150+ Point Inspection * Transferable Warranty * Includes 10-year/Unlimited mileage Roadside Assistance with Rental Car and Trip Interruption Reimbursement; Please see dealers for specific vehicle eligibility requirements. 10-Year/100,000 Mile Hybrid/EV Battery Warranty * Roadside Assistance * Limited Warranty: 60 Month/60,000 Mile (whichever comes first) from original in-service date * Vehicle History * Powertrain Limited Warranty: 120 Month/100,000 Mile (whichever comes first) from original in-service date AutoMax in Norman Your Pre Owned Power House. 300 High End Pre Owned in Stock. NEW ARRIVAL. PLEASE CONTACT DEALER AT 888-974-8847, **ACCIDENT FREE CARFAX**, **BLUETOOTH, HANDS-FREE**, **KEYLESS ENTRY**, **NON-SMOKER**, **REAR BACKUP CAMERA**, **SIRIUS/XM SATELLITE RADIO**, CPO Certified Pre Owned. 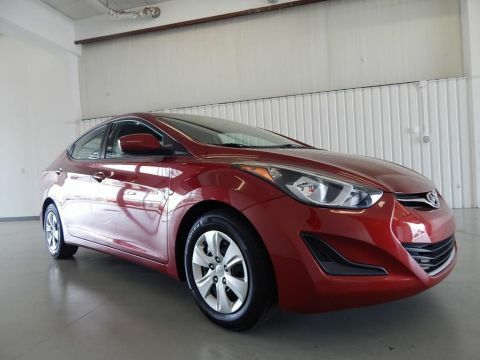 2016 Hyundai Elantra SE 4D Sedan Venetian Red FWD 1.8L 4-Cylinder DOHC 16V Dual CVVT 6-Speed Automatic with Shiftronic Clean CARFAX. Certified. Hyundai Certified Pre-Owned Details: * Includes 10-year/Unlimited mileage Roadside Assistance with Rental Car and Trip Interruption Reimbursement; Please see dealers for specific vehicle eligibility requirements. 10-Year/100,000 Mile Hybrid/EV Battery Warranty * Powertrain Limited Warranty: 120 Month/100,000 Mile (whichever comes first) from original in-service date * Transferable Warranty * 150+ Point Inspection * Vehicle History * Roadside Assistance * Warranty Deductible: $50 * Limited Warranty: 60 Month/60,000 Mile (whichever comes first) from original in-service date AutoMax in Norman Your Pre Owned Power House. 300 High End Pre Owned in Stock. Priced below KBB Fair Purchase Price! NEW ARRIVAL. PLEASE CONTACT DEALER AT 888-974-8847, **ACCIDENT FREE CARFAX**, **BLUETOOTH, HANDS-FREE**, **CARFAX ONE OWNER**, **KEYLESS ENTRY**, **NON-SMOKER**, **REAR BACKUP CAMERA**, CPO Certified Pre Owned. 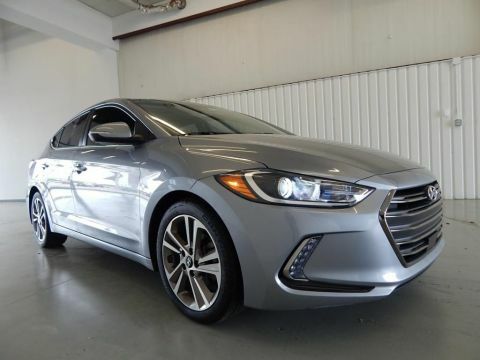 2018 Hyundai Elantra SEL 4D Sedan Machine Gray FWD 2.0L 4-Cylinder DOHC 16V 6-Speed Automatic with Shiftronic CARFAX One-Owner. Clean CARFAX. Certified. Hyundai Certified Pre-Owned Details: * Roadside Assistance * Transferable Warranty * Includes 10-year/Unlimited mileage Roadside Assistance with Rental Car and Trip Interruption Reimbursement; Please see dealers for specific vehicle eligibility requirements. 10-Year/100,000 Mile Hybrid/EV Battery Warranty * 150+ Point Inspection * Warranty Deductible: $50 * Vehicle History * Limited Warranty: 60 Month/60,000 Mile (whichever comes first) from original in-service date * Powertrain Limited Warranty: 120 Month/100,000 Mile (whichever comes first) from original in-service date Odometer is 8620 miles below market average! AutoMax in Norman Your Pre Owned Power House. 300 High End Pre Owned in Stock. Priced below KBB Fair Purchase Price! NEW ARRIVAL. PLEASE CONTACT DEALER AT 888-974-8847, **ACCIDENT FREE CARFAX**, **BLUETOOTH, HANDS-FREE**, **CARFAX ONE OWNER**, **KEYLESS ENTRY**, **NON-SMOKER**, **REAR BACKUP CAMERA**, **SIRIUS/XM SATELLITE RADIO**, CPO Certified Pre Owned. 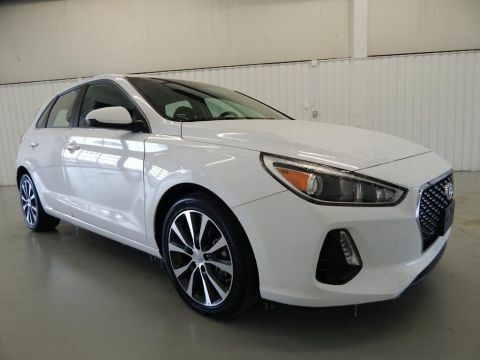 2018 Hyundai Elantra GT 4D Hatchback Ceramic White FWD 2.0L DOHC 6-Speed Automatic with Shiftronic CARFAX One-Owner. Clean CARFAX. Certified. Hyundai Certified Pre-Owned Details: * Powertrain Limited Warranty: 120 Month/100,000 Mile (whichever comes first) from original in-service date * Warranty Deductible: $50 * Transferable Warranty * Roadside Assistance * Vehicle History * 150+ Point Inspection * Limited Warranty: 60 Month/60,000 Mile (whichever comes first) from original in-service date * Includes 10-year/Unlimited mileage Roadside Assistance with Rental Car and Trip Interruption Reimbursement; Please see dealers for specific vehicle eligibility requirements. 10-Year/100,000 Mile Hybrid/EV Battery Warranty AutoMax in Norman Your Pre Owned Power House. 300 High End Pre Owned in Stock. Priced below KBB Fair Purchase Price! NEW ARRIVAL. PLEASE CONTACT DEALER AT 888-974-8847, **ACCIDENT FREE CARFAX**, **BLUETOOTH, HANDS-FREE**, **CARFAX ONE OWNER**, **KEYLESS ENTRY**, **NON-SMOKER**, **REAR BACKUP CAMERA**, **SIRIUS/XM SATELLITE RADIO**, CPO Certified Pre Owned. 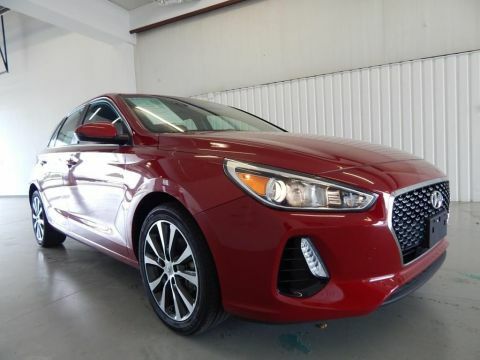 2018 Hyundai Elantra GT 4D Hatchback Scarlet Red Pearl FWD 2.0L DOHC 6-Speed Automatic with Shiftronic CARFAX One-Owner. Clean CARFAX. Certified. Hyundai Certified Pre-Owned Details: * Powertrain Limited Warranty: 120 Month/100,000 Mile (whichever comes first) from original in-service date * Limited Warranty: 60 Month/60,000 Mile (whichever comes first) from original in-service date * 150+ Point Inspection * Warranty Deductible: $50 * Transferable Warranty * Roadside Assistance * Includes 10-year/Unlimited mileage Roadside Assistance with Rental Car and Trip Interruption Reimbursement; Please see dealers for specific vehicle eligibility requirements. 10-Year/100,000 Mile Hybrid/EV Battery Warranty * Vehicle History AutoMax in Norman Your Pre Owned Power House. 300 High End Pre Owned in Stock. Priced below KBB Fair Purchase Price! NEW ARRIVAL. PLEASE CONTACT DEALER AT 888-974-8847, **ACCIDENT FREE CARFAX**, **BLUETOOTH, HANDS-FREE**, **CARFAX ONE OWNER**, **KEYLESS ENTRY**, **REAR BACKUP CAMERA**, **SIRIUS/XM SATELLITE RADIO**, CPO Certified Pre Owned. 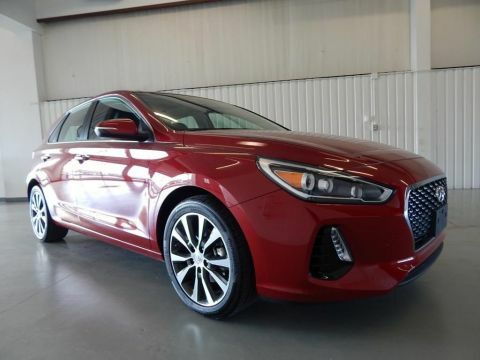 2018 Hyundai Elantra GT 4D Hatchback Scarlet Red Pearl FWD 2.0L DOHC 6-Speed Automatic with Shiftronic CARFAX One-Owner. Clean CARFAX. Certified. Hyundai Certified Pre-Owned Details: * Includes 10-year/Unlimited mileage Roadside Assistance with Rental Car and Trip Interruption Reimbursement; Please see dealers for specific vehicle eligibility requirements. 10-Year/100,000 Mile Hybrid/EV Battery Warranty * Warranty Deductible: $50 * 150+ Point Inspection * Transferable Warranty * Roadside Assistance * Limited Warranty: 60 Month/60,000 Mile (whichever comes first) from original in-service date * Vehicle History * Powertrain Limited Warranty: 120 Month/100,000 Mile (whichever comes first) from original in-service date AutoMax in Norman Your Pre Owned Power House. 300 High End Pre Owned in Stock. Priced below KBB Fair Purchase Price! NEW ARRIVAL. PLEASE CONTACT DEALER AT 888-974-8847, **ACCIDENT FREE CARFAX**, **BLUETOOTH, HANDS-FREE**, **CARFAX ONE OWNER**, **NON-SMOKER**, **REAR BACKUP CAMERA**, **SIRIUS/XM SATELLITE RADIO**, CPO Certified Pre Owned. 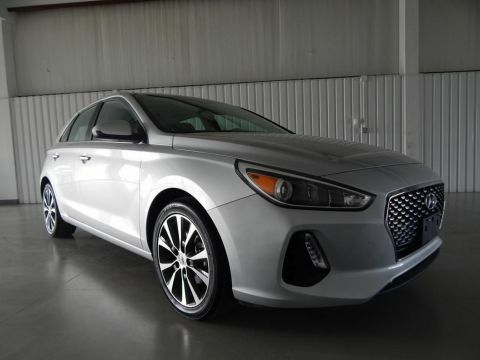 2018 Hyundai Elantra GT 4D Hatchback Symphony Air Silver FWD 2.0L DOHC 6-Speed Automatic with Shiftronic CARFAX One-Owner. Clean CARFAX. Certified. Hyundai Certified Pre-Owned Details: * Warranty Deductible: $50 * Roadside Assistance * 150+ Point Inspection * Includes 10-year/Unlimited mileage Roadside Assistance with Rental Car and Trip Interruption Reimbursement; Please see dealers for specific vehicle eligibility requirements. 10-Year/100,000 Mile Hybrid/EV Battery Warranty * Limited Warranty: 60 Month/60,000 Mile (whichever comes first) from original in-service date * Powertrain Limited Warranty: 120 Month/100,000 Mile (whichever comes first) from original in-service date * Transferable Warranty * Vehicle History AutoMax in Norman Your Pre Owned Power House. 300 High End Pre Owned in Stock. NEW ARRIVAL. PLEASE CONTACT DEALER AT 888-974-8847, **ACCIDENT FREE CARFAX**, **CARFAX ONE OWNER**, **HEATED/COOLED SEATS**, **LEATHER**, **NAVIGATION/GPS**, **POWER SUNROOF/MOONROOF**, **REAR BACKUP CAMERA**, CPO Certiifed Pre Owned, Limited Ultimate Package 09. 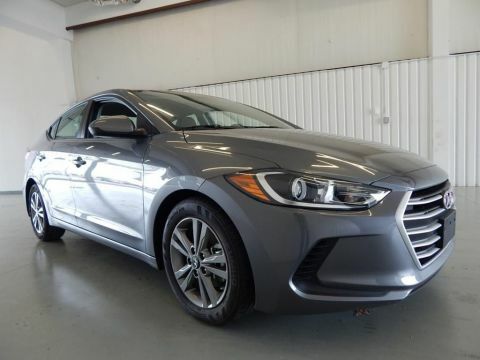 2017 Hyundai Elantra Limited Ultimate 4D Sedan Shale Gray Metallic FWD 2.0L 4-Cylinder DOHC 16V 6-Speed Automatic with Shiftronic CARFAX One-Owner. Clean CARFAX. Certified. Hyundai Certified Pre-Owned Details: * Includes 10-year/Unlimited mileage Roadside Assistance with Rental Car and Trip Interruption Reimbursement; Please see dealers for specific vehicle eligibility requirements. 10-Year/100,000 Mile Hybrid/EV Battery Warranty * Transferable Warranty * Powertrain Limited Warranty: 120 Month/100,000 Mile (whichever comes first) from original in-service date * Warranty Deductible: $50 * Limited Warranty: 60 Month/60,000 Mile (whichever comes first) from original in-service date * Roadside Assistance * Vehicle History * 150+ Point Inspection AutoMax in Norman Your Pre Owned Power House. 300 High End Pre Owned in Stock. NEW ARRIVAL. PLEASE CONTACT DEALER AT 888-974-8847, **ACCIDENT FREE CARFAX**, **BLUETOOTH, HANDS-FREE**, **CARFAX ONE OWNER**, **HEATED/COOLED SEATS**, **LEATHER**, **NAVIGATION/GPS**, **POWER SUNROOF/MOONROOF**, **REAR BACKUP CAMERA**, **SIRIUS/XM SATELLITE RADIO**, CPO Certified Pre Owned, black Leather. 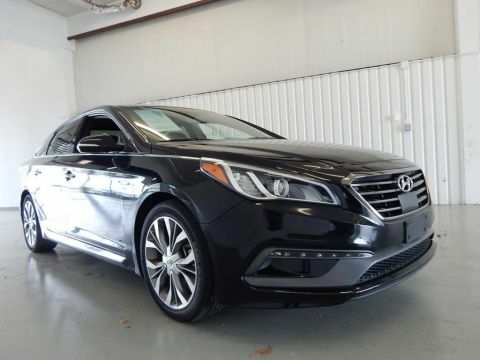 2015 Hyundai Sonata Limited 2.0T Ultimiate 4D Sedan Phantom Black FWD 2.0L 4-Cylinder DGI Turbocharged 6-Speed Automatic with Shiftronic Clean CARFAX. Certified. Hyundai Certified Pre-Owned Details: * Includes 10-year/Unlimited mileage Roadside Assistance with Rental Car and Trip Interruption Reimbursement; Please see dealers for specific vehicle eligibility requirements. 10-Year/100,000 Mile Hybrid/EV Battery Warranty * Limited Warranty: 60 Month/60,000 Mile (whichever comes first) from original in-service date * Roadside Assistance * Transferable Warranty * Vehicle History * Powertrain Limited Warranty: 120 Month/100,000 Mile (whichever comes first) from original in-service date * Warranty Deductible: $50 * 150+ Point Inspection AutoMax in Norman Your Pre Owned Power House. 300 High End Pre Owned in Stock. Priced below KBB Fair Purchase Price! NEW ARRIVAL. PLEASE CONTACT DEALER AT 888-974-8847, Beige Cloth. 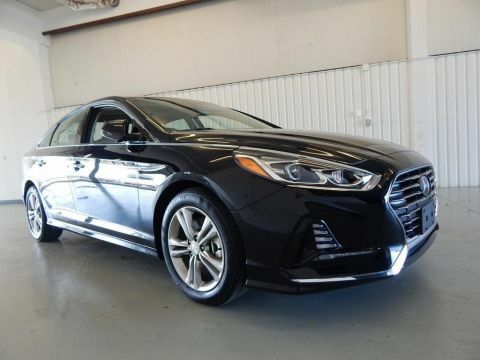 2018 Hyundai Sonata SEL 4D Sedan Phantom Black FWD 2.4L I4 DGI DOHC 16V ULEV II 185hp 6-Speed Automatic with Shiftronic CARFAX One-Owner. Clean CARFAX. Certified. Hyundai Certified Pre-Owned Details: * Transferable Warranty * Limited Warranty: 60 Month/60,000 Mile (whichever comes first) from original in-service date * Includes 10-year/Unlimited mileage Roadside Assistance with Rental Car and Trip Interruption Reimbursement; Please see dealers for specific vehicle eligibility requirements. 10-Year/100,000 Mile Hybrid/EV Battery Warranty * Powertrain Limited Warranty: 120 Month/100,000 Mile (whichever comes first) from original in-service date * 150+ Point Inspection * Warranty Deductible: $50 * Roadside Assistance * Vehicle History AutoMax in Norman Your Pre Owned Power House. 300 High End Pre Owned in Stock. Priced below KBB Fair Purchase Price! NEW ARRIVAL. PLEASE CONTACT DEALER AT 888-974-8847, **ACCIDENT FREE CARFAX**, **BLUETOOTH, HANDS-FREE**, **CARFAX ONE OWNER**, **KEYLESS ENTRY**, **NON-SMOKER**, **REAR BACKUP CAMERA**, **SIRIUS/XM SATELLITE RADIO**, CPO Certified Pre Owned. 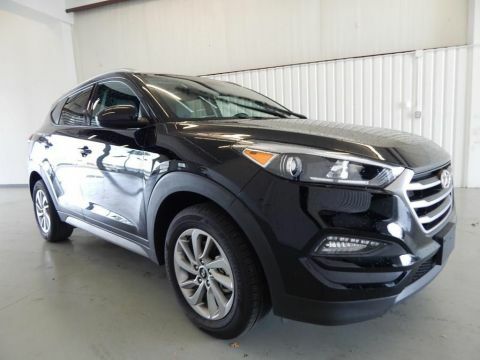 2018 Hyundai Tucson SEL 4D Sport Utility Black Pearl FWD 2.0L DOHC 6-Speed Automatic with Shiftronic CARFAX One-Owner. Clean CARFAX. Certified. Hyundai Certified Pre-Owned Details: * Powertrain Limited Warranty: 120 Month/100,000 Mile (whichever comes first) from original in-service date * Roadside Assistance * Warranty Deductible: $50 * Transferable Warranty * Limited Warranty: 60 Month/60,000 Mile (whichever comes first) from original in-service date * Includes 10-year/Unlimited mileage Roadside Assistance with Rental Car and Trip Interruption Reimbursement; Please see dealers for specific vehicle eligibility requirements. 10-Year/100,000 Mile Hybrid/EV Battery Warranty * 150+ Point Inspection * Vehicle History Odometer is 5260 miles below market average! AutoMax in Norman Your Pre Owned Power House. 300 High End Pre Owned in Stock. NEW ARRIVAL. PLEASE CONTACT DEALER AT 888-974-8847, **ACCIDENT FREE CARFAX**, **BLUETOOTH, HANDS-FREE**, **CARFAX ONE OWNER**, **HEATED/COOLED SEATS**, **LEATHER**, **NAVIGATION/GPS**, **POWER SUNROOF/MOONROOF**, **REAR BACKUP CAMERA**, **SIRIUS/XM SATELLITE RADIO**, CPO Certified Pre Owned. 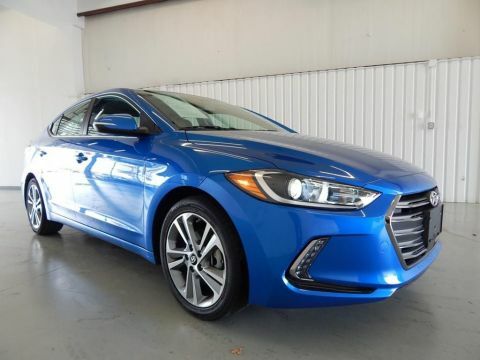 2018 Hyundai Elantra Limited Ultimate 4D Sedan Electric Blue Metallic FWD 2.0L 4-Cylinder DOHC 16V 6-Speed Automatic with Shiftronic CARFAX One-Owner. Clean CARFAX. Certified. Hyundai Certified Pre-Owned Details: * Limited Warranty: 60 Month/60,000 Mile (whichever comes first) from original in-service date * Vehicle History * 150+ Point Inspection * Includes 10-year/Unlimited mileage Roadside Assistance with Rental Car and Trip Interruption Reimbursement; Please see dealers for specific vehicle eligibility requirements. 10-Year/100,000 Mile Hybrid/EV Battery Warranty * Roadside Assistance * Powertrain Limited Warranty: 120 Month/100,000 Mile (whichever comes first) from original in-service date * Transferable Warranty * Warranty Deductible: $50 Odometer is 19531 miles below market average! AutoMax in Norman Your Pre Owned Power House. 300 High End Pre Owned in Stock. NEW ARRIVAL. PLEASE CONTACT DEALER AT 888-974-8847, **ACCIDENT FREE CARFAX**, **BLUETOOTH, HANDS-FREE**, **HEATED/COOLED SEATS**, **LEATHER**, **NAVIGATION/GPS**, **NON-SMOKER**, **POWER SUNROOF/MOONROOF**, **REAR BACKUP CAMERA**, **SIRIUS/XM SATELLITE RADIO**, CPO Certified Pre Owned. 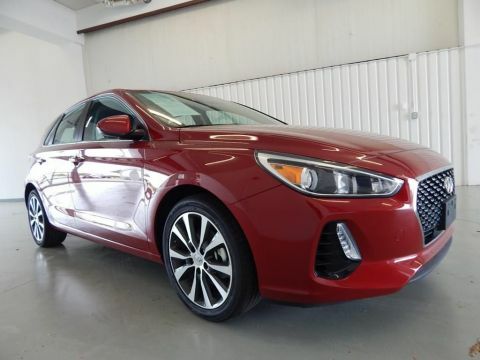 2018 Hyundai Elantra GT Technology 4D Hatchback Scarlet Red Pearl FWD 2.0L DOHC 6-Speed Automatic with Shiftronic CARFAX One-Owner. Clean CARFAX. Certified. Hyundai Certified Pre-Owned Details: * Warranty Deductible: $50 * Vehicle History * Transferable Warranty * Roadside Assistance * 150+ Point Inspection * Powertrain Limited Warranty: 120 Month/100,000 Mile (whichever comes first) from original in-service date * Includes 10-year/Unlimited mileage Roadside Assistance with Rental Car and Trip Interruption Reimbursement; Please see dealers for specific vehicle eligibility requirements. 10-Year/100,000 Mile Hybrid/EV Battery Warranty * Limited Warranty: 60 Month/60,000 Mile (whichever comes first) from original in-service date AutoMax in Norman Your Pre Owned Power House. 300 High End Pre Owned in Stock. Recent Arrival! NEW ARRIVAL. PLEASE CONTACT DEALER AT 888-974-8847, **ACCIDENT FREE CARFAX**, **BLUETOOTH, HANDS-FREE**, **KEYLESS ENTRY**, **NON-SMOKER**, **REAR BACKUP CAMERA**, **SIRIUS/XM SATELLITE RADIO**, CPO Certified Pre Owned, 2.0L I4 DGI Hybrid DOHC 16V LEV3-ULEV125. 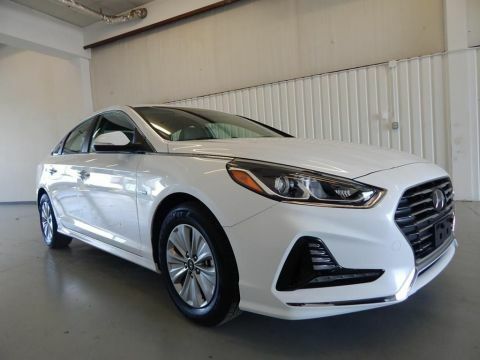 2018 Hyundai Sonata Hybrid SE 4D Sedan White FWD 2.0L I4 DGI Hybrid DOHC 16V LEV3-ULEV125 6-Speed Automatic with Shiftronic CARFAX One-Owner. Clean CARFAX. Certified. Hyundai Details: * Vehicle History * Limited Warranty: 60 Month/60,000 Mile (whichever comes first) from original in-service date * Includes 10-year/Unlimited mileage Roadside Assistance with Rental Car and Trip Interruption Reimbursement; Please see dealers for specific vehicle eligibility requirements. 10-Year/100,000 Mile Hybrid/EV Battery Warranty * 150+ Point Inspection * Transferable Warranty * Powertrain Limited Warranty: 120 Month/100,000 Mile (whichever comes first) from original in-service date * Roadside Assistance * Warranty Deductible: $50 Odometer is 2746 miles below market average! AutoMax in Norman Your Pre Owned Power House. 300 High End Pre Owned in Stock. NEW ARRIVAL. PLEASE CONTACT DEALER AT 888-974-8847, **ACCIDENT FREE CARFAX**, **BLUETOOTH, HANDS-FREE**, **CARFAX ONE OWNER**, **HEATED/COOLED SEATS**, **LEATHER**, **NAVIGATION/GPS**, **POWER SUNROOF/MOONROOF**, **REAR BACKUP CAMERA**, CPO Certified Pre Owned, black Leather. 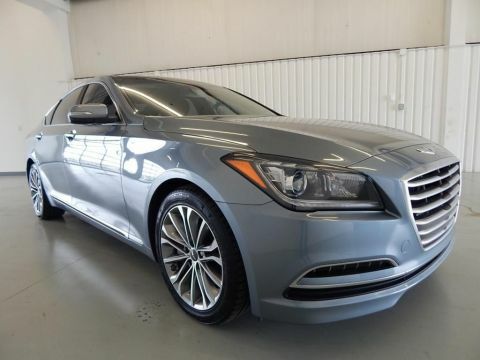 2015 Hyundai Genesis 3.8 4D Sedan Gray RWD 3.8L V6 DGI DOHC Dual CVVT 8-Speed Automatic with SHIFTRONIC CARFAX One-Owner. Certified. Hyundai Certified Pre-Owned Details: * Vehicle History * Roadside Assistance * Warranty Deductible: $50 * 150+ Point Inspection * Transferable Warranty * Includes 10-year/Unlimited mileage Roadside Assistance with Rental Car and Trip Interruption Reimbursement; Please see dealers for specific vehicle eligibility requirements. 10-Year/100,000 Mile Hybrid/EV Battery Warranty * Limited Warranty: 60 Month/60,000 Mile (whichever comes first) from original in-service date * Powertrain Limited Warranty: 120 Month/100,000 Mile (whichever comes first) from original in-service date AutoMax in Norman Your Pre Owned Power House. 300 High End Pre Owned in Stock. NEW ARRIVAL. PLEASE CONTACT DEALER AT 888-974-8847, **ACCIDENT FREE CARFAX**, **BLUETOOTH, HANDS-FREE**, **CARFAX ONE OWNER**, **HEATED/COOLED SEATS**, **LEATHER**, **NAVIGATION/GPS**, **POWER SUNROOF/MOONROOF**, **REAR BACKUP CAMERA**, **SIRIUS/XM SATELLITE RADIO**, HARD TO FIND ULTIMATE PACKAGE, CPO Certified Pre Owned, beige Leather, Limited Ultimate Package 03. 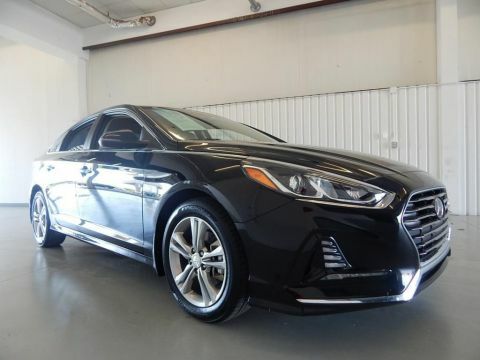 2018 Hyundai Sonata Limited Ultimate 4D Sedan Phantom Black FWD 2.4L I4 DGI DOHC 16V ULEV II 185hp 6-Speed Automatic with Shiftronic CARFAX One-Owner. Clean CARFAX. Certified. Hyundai Certified Pre-Owned Details: * Warranty Deductible: $50 * Roadside Assistance * 150+ Point Inspection * Limited Warranty: 60 Month/60,000 Mile (whichever comes first) from original in-service date * Transferable Warranty * Vehicle History * Powertrain Limited Warranty: 120 Month/100,000 Mile (whichever comes first) from original in-service date * Includes 10-year/Unlimited mileage Roadside Assistance with Rental Car and Trip Interruption Reimbursement; Please see dealers for specific vehicle eligibility requirements. 10-Year/100,000 Mile Hybrid/EV Battery Warranty AutoMax in Norman Your Pre Owned Power House. 300 High End Pre Owned in Stock. NEW ARRIVAL. PLEASE CONTACT DEALER AT 888-974-8847, **ACCIDENT FREE CARFAX**, **BLUETOOTH, HANDS-FREE**, **HEATED/COOLED SEATS**, **LEATHER**, **NAVIGATION/GPS**, **POWER SUNROOF/MOONROOF**, **REAR BACKUP CAMERA**, **SIRIUS/XM SATELLITE RADIO**, CPO Certified Pre Owned. 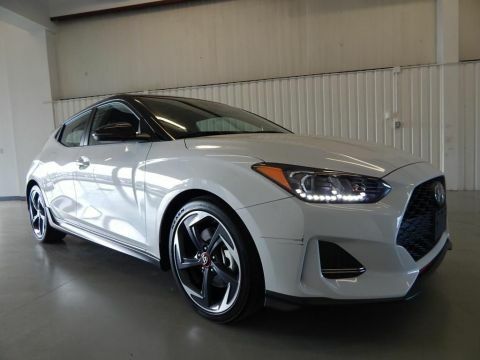 2019 Hyundai Veloster Turbo Ultimate 3D Hatchback Chalk White w/Black Roof FWD 1.6L 4-Cylinder DGI DOHC Shiftronic Clean CARFAX. Certified. Hyundai Certified Pre-Owned Details: * Warranty Deductible: $50 * Includes 10-year/Unlimited mileage Roadside Assistance with Rental Car and Trip Interruption Reimbursement; Please see dealers for specific vehicle eligibility requirements. 10-Year/100,000 Mile Hybrid/EV Battery Warranty * 150+ Point Inspection * Vehicle History * Transferable Warranty * Roadside Assistance * Limited Warranty: 60 Month/60,000 Mile (whichever comes first) from original in-service date * Powertrain Limited Warranty: 120 Month/100,000 Mile (whichever comes first) from original in-service date AutoMax in Norman Your Pre Owned Power House. 300 High End Pre Owned in Stock. NEW ARRIVAL. PLEASE CONTACT DEALER AT 888-974-8847, **ACCIDENT FREE CARFAX**, **CARFAX ONE OWNER**, **HEATED/COOLED SEATS**, **LEATHER**, **NAVIGATION/GPS**, **NON-SMOKER**, **POWER SUNROOF/MOONROOF**, **REAR BACKUP CAMERA**, **SIRIUS/XM SATELLITE RADIO**, CPO Certified Pre Owned, 2.0L I4 DGI Hybrid DOHC 16V SULEV II. 2017 Hyundai Sonata Hybrid Limited 4D Sedan Ion Silver FWD 2.0L I4 DGI Hybrid DOHC 16V SULEV II 6-Speed Automatic with Shiftronic Clean CARFAX. Certified. Hyundai Certified Pre-Owned Details: * 150+ Point Inspection * Roadside Assistance * Limited Warranty: 60 Month/60,000 Mile (whichever comes first) from original in-service date * Powertrain Limited Warranty: 120 Month/100,000 Mile (whichever comes first) from original in-service date * Vehicle History * Transferable Warranty * Includes 10-year/Unlimited mileage Roadside Assistance with Rental Car and Trip Interruption Reimbursement; Please see dealers for specific vehicle eligibility requirements. 10-Year/100,000 Mile Hybrid/EV Battery Warranty * Warranty Deductible: $50 Odometer is 15158 miles below market average! AutoMax in Norman Your Pre Owned Power House. 300 High End Pre Owned in Stock.